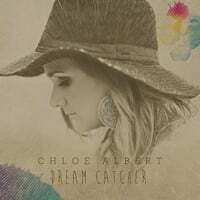 Juno nominated Canadian Chloe Albert is a prolific multi-instrumental Singer-Songwriter. With the storytelling ability to rival the great Folk artists, her versatility and bluesy rhythms gives her a rich, authentic sound fitting easily into folk, roots, country, soul and jazz. Winning several awards plus a Juno nod, Albert’s success is a result of a diligent, hardworking artist with a sincere, irresistible, and easy-going charm. An overarching theme of hope throughout, Albert has a way of projecting buoyancy without it ever coming across as saccharine. 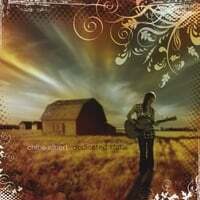 Her first Album “Dedicated State” (2008) won Canadian Folk Music Award for ‘Emerging Artist of the Year’. She received a JUNO Nomination ‘Adult Contemporary Album of The Year’ up against the likes of Celine Dion, a Western Canadian Music Awards Nomination for ‘Roots/Solo Album of the Year’ plus won three Edmonton Music Awards for ‘Female Artist of the Year’, ‘Album of the Year’, and ‘Roots/Folk Recording of the Year’ after the release of her second album ‘Dream Catcher’(2013). ‘Dream Catcher’ was the most played album on the CKUA radio network in 2014 and was on many top 10 lists. Her next album is scheduled to be released in 2018 and promise to showcase more of Albert's collaborations. Performing as a working musician for nearly a decade, Albert’s relaxed, conversational way is the result of years of experience. She encompasses ease, authenticity and high-caliber professionalism on and offstage. Her genuine talent and diverse instrumental abilities allow her to bestride several genres. A highly collaborative and community minded artist, Albert is an actively involved artist. She is building a collection of songwriting awards and nominations which spans Canada, Australia and Nashville. After the birth of her son in 2015, Albert continues to perform, grow and evolve as an artist. While working on her new album (2018) she can be found performing shows with her classic country cover band, The Carolines, around Alberta and booking steady gigs all over Canada.